Our bakery operations cover Singapore, Malaysia, the Philippines, and Australia. We produce branded packaged bread and unpackaged bread, as well as a wide range of frozen and par-baked specialty French-style breads and pastries. Our branded packaged breads are Gardenia and Bonjour. We are the region's leading manufacturer and distributor of the premium Gardenia brand of packaged bread. It is the top selling brand in Singapore, Malaysia and the Philippines. Each day, Gardenia bread is delivered 'straight from the oven' by our fleet of over 1,400 vans and trucks to nearly 50,000 supermarkets, convenience stores and general trade channels all over Singapore, Malaysia and the Philippines. Our factories produce almost 1 billion loaves, buns and snack cakes each year. In recognition of our commitment to constant product innovation and excellence, Gardenia has been awarded “Superbrands” status in the Philippines, Malaysia and Singapore. 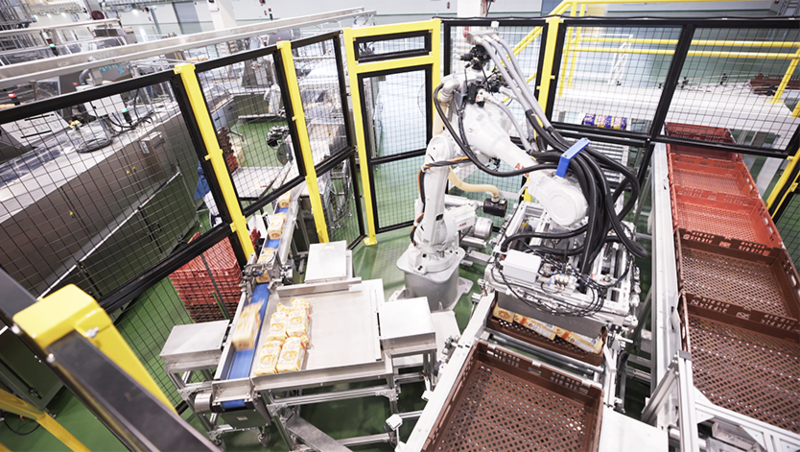 In Singapore, Gardenia has evolved from a humble in-store bakery into two full-fledged automated bakery plants producing more than 200,000 freshly baked loaves and buns daily. For close to forty years, Gardenia has established itself as a household name, producing a wide range of products suitable for all age groups and for any occasion. The Gardenia product range currently comprises more than 55 different varieties of white, wholemeal and specialty breads, buns and wraps, European crusty country breads, and quick frozen par-baked or fully-baked gourmet breads. Gardenia is associated with qualities such as good taste, freshness, trust and reliability. These brand values have assisted the company to win various accolades. Gardenia was the first bakery in Asia to be awarded the prestigious ISO 9002 Quality Certificate in 1996 and HACCP safety certification in 2001. 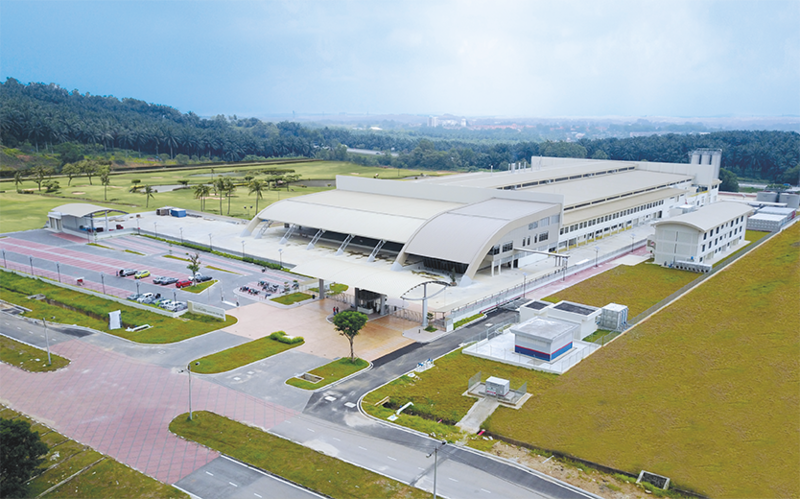 In 2015, Gardenia’s steadfast commitment to the maintenance of the highest standards of food safety was rewarded when it became the first bakery in Singapore to be awarded the Platinum award from the Agri-Food and Veterinary Authority (AVA) for attaining ‘Grade A’ status for excellence in food hygiene, sanitation and processing for 20 consecutive years, from 1995 to 2014. To-date, Gardenia continues to achieve ‘Grade A’ status annually. In 2017, Gardenia achieved the status of “Singapore’s Number 1 Selling Bread Brand”, leading the bread industry in the “Total Bread Category” and “Wholemeal Bread Segment” both in sales value and volume, in a survey conducted by The Nielsen Company. The same year, the company was accredited with BizSAFE Level 3 by Workplace Safety & Health Council. The company also achieved “Superbrands” status and “Top Influential Brand” status for the Bread Category in 2017, further entrenching Gardenia as Singaporean’s preferred bread brand. To provide greater convenience and accessibility to Gardenia's products, the company became the first bakery in Singapore to introduce the loaf bread vending machine. These vending machines are located in selected high density residential areas, factories, student hostels and schools to serve consumers 24 hours a day, rain or shine. The company has a multi-brand portfolio, with a second bakery brand, Bonjour to cater to differing consumers’ taste. Since 1998, Bonjour has been carrying its own range of white, wholemeal and speciality breads, as well as croissants and buns for its consumers. With a fun but creative brand personality, Bonjour seeks to deliver tasty products with interesting flavours such as Bonjour Pandan Bread, Bonjour Choc Chip Loaf and Bonjour Butterscotch Loaf. In 2017, Bonjour was also awarded the “Top Influential Brand” status for the Bread Category. 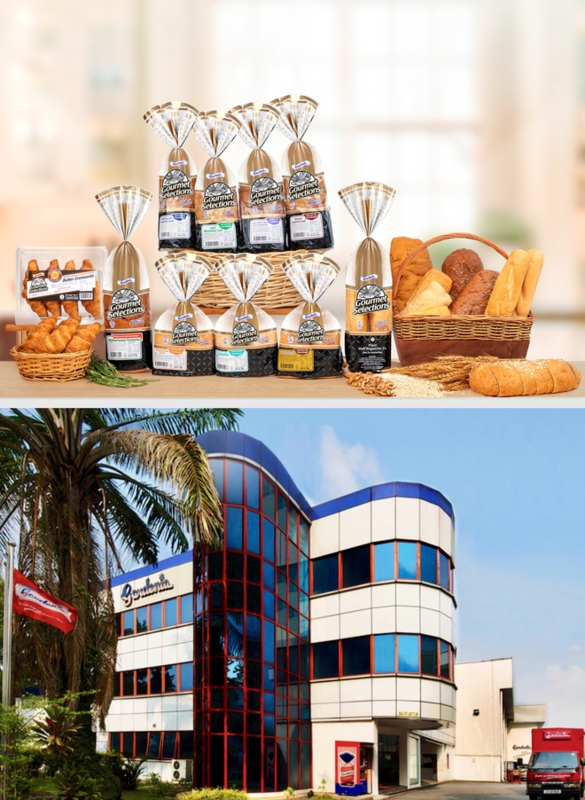 Gardenia operates two bakery plants in Singapore, while the QAF group has a new plant in Johor, Malaysia, Farmland Bakery, which produces bakery products for Gardenia and Bonjour. In Malaysia, Gardenia is a 50% joint venture of the QAF Group. The Gardenia plants are capable of producing more than 700 million loaves, snack cakes, buns, rolls and waffles per annum, making it one of the largest wholesale bakeries in South-east Asia. Credited with revolutionizing the bread industry, Gardenia was the first bread company in Malaysia to undertake the direct distribution of its own bread and provide consumers with essential nutritional information and the consumption expiry date on each loaf of bread. Gardenia has an excellent and extensive distribution network throughout Peninsular Malaysia, including Langkawi Island. As part of its commitment to provide customers with the highest quality products, the Gardenia operations have attained ISI 2020 and HACCP certification. 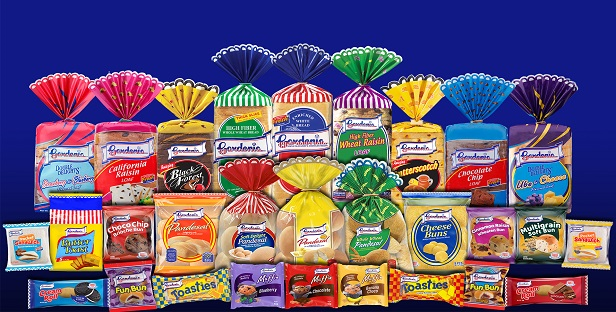 Gardenia was voted Malaysian consumers' most favourite bread brand in nation-wide surveys by Superbrands in 2009 and 2011. It also won Gold awards for seven consecutive years from 2010 to 2017 at the Putra Brand Awards when it was voted Malaysian consumers' “Most Preferred Brand”. In 2013, Gardenia was also awarded the Putra Brand Icon in recognition of its consistently clinching the Gold Award in the Foodstuff category. In 2016, Gardenia won the Putra Marketer of the Year from the Putra Brand Award, the only brand award that is endorsed by MATRADE (Malaysia External Trade Development Corporation). 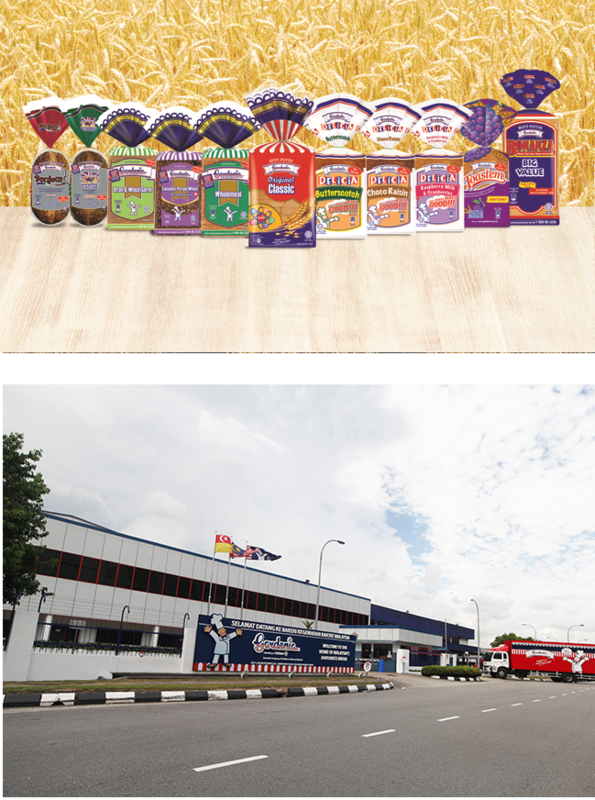 Gardenia operates four plants in Malaysia, while the QAF Group has another plant in Shah Alam, Malaysia that produces bakery products for Gardenia. To expand its production capacity and enable the company to expand into new market segments, Gardenia is constructing a new production facility at Bukit Kemuning, next to its existing factory. The construction is targeted for completion in 2018. In the Philippines, Gardenia dominates the packaged bread market. Its wide array of superior bakery products include sandwich breads, health breads, flavoured loaves, pandesal, buns, snack cakes, toasts and pocket sandwiches. Gardenia’s commitment to quality won it the coveted ANCA Award as the most “Outstanding Bread Manufacturer” by the Consumer's Union of the Philippines from 2004 to 2008, and “Superbrands” status from 2004 to 2010. In 2011, the Department of Trade and Industry awarded Gardenia the Pro-active Program Achievement Awards in three categories, namely, Labor Management Relationship, Family Welfare/Community Relations, and Quality and Productivity. 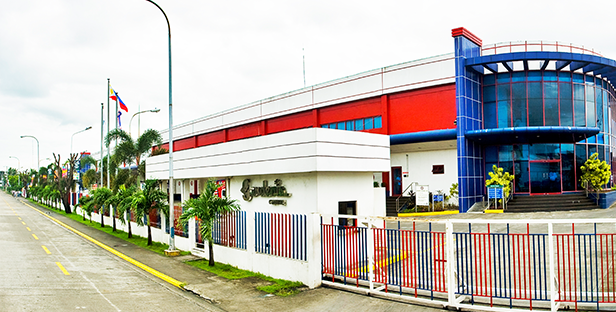 The Gardenia plant in Binan, Laguna was the first in the Philippine bread manufacturing industry to be awarded both ISO 9001/2008 Certification and HACCP Certification for food safety. Gardenia products are delivered daily, ensuring that only freshly-baked bread reaches consumers every day. Products from Gardenia’s plant at Laguna are widely distributed throughout the entire Luzon archipelago, while its Cebu plant caters to the Visayas and Mindanao markets. To meet the growing demand from consumers, Gardenia will be setting up a new production plant in Mindanao and Luzon.